I like how you can stay active and record video at the same time without having to use any of your hands. We've all seen the GoPro commercials on tv with a guy doing some amazing tricks while skiing wearing a GoPro on his helmet with music in the background. You can be mountain climbing, biking, skiing, hang gliding, or snowboarding and still record video in what appears to be the first person view. The GoPro Hero3+ allows you to do just that. As wearable cameras, the GoPros are pretty tough and durable that you don't have to worry about whether they can take a beating while you yourself are being a weekend warrior. That and they are pretty light and compact too, so that you can take it with you and it wouldn't feel like you're carrying excess weight. I have a friend who likes racing cars (he drives a Mitsubishi Lancer Evolution), and he mounts his GoPro camera on his dashboard to record video whenever he goes out driving. HP offers a similar product specifically for your car's dashboard with the HP F310 dash cam, but you may also want to check out the Sony HDR-AZ1VR Action Cam Mini as well. The GoPro can easily take high quality, high action home videos: great for sports. 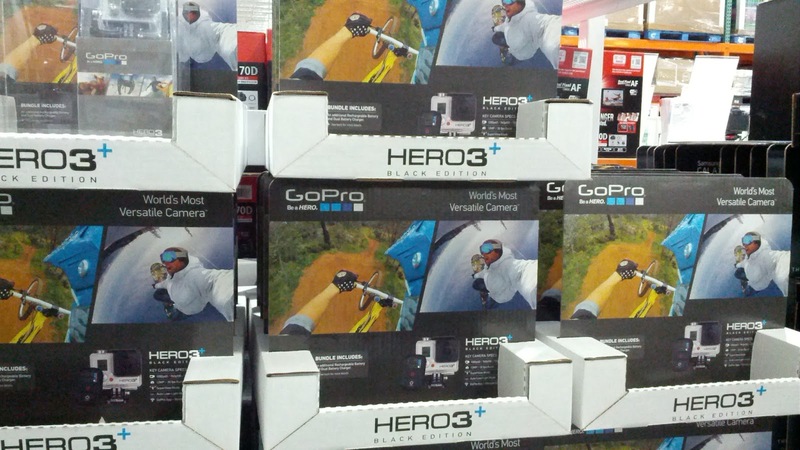 The GoPro Hero3+ bundle includes everything you need to record your many adventures. 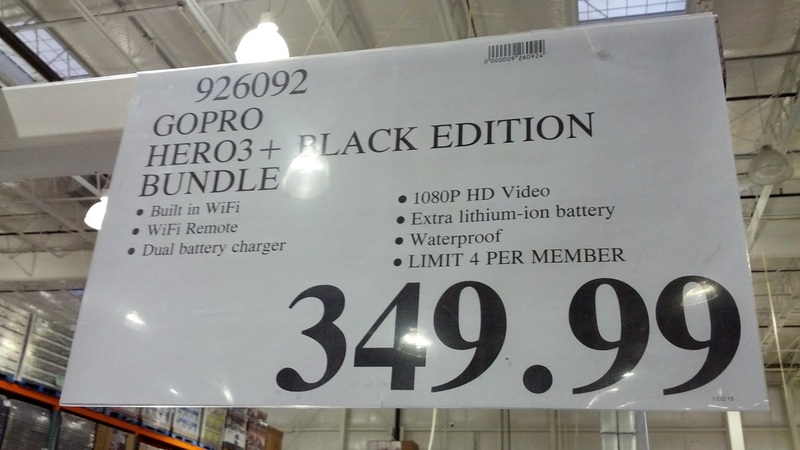 Take advantage of the deal that Costco has for the GoPro Hero3+ camera bundle and capture + share your world. GoPro makes it easier than ever to capture and share your world like never before. What's also great is that this bundle includes a dual battery charger so that you can charge two batteries (2 batteries are indeed included in the bundle) at the same time - you no longer have to wait for one battery to finish charging in order to start charging the second. 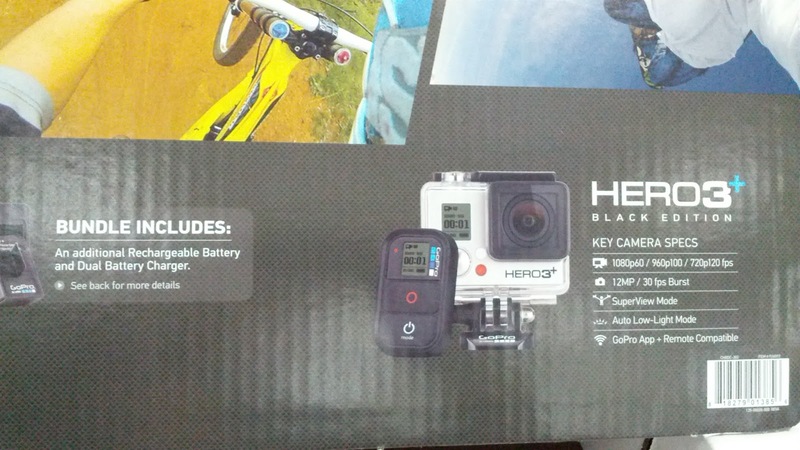 That will give you plenty of juice to shoot video of your many adventures and excursions. That and the camera itself takes really good quality video even if your video has lots of movement and action shots. Go Big and Go Pro Or Go Home.